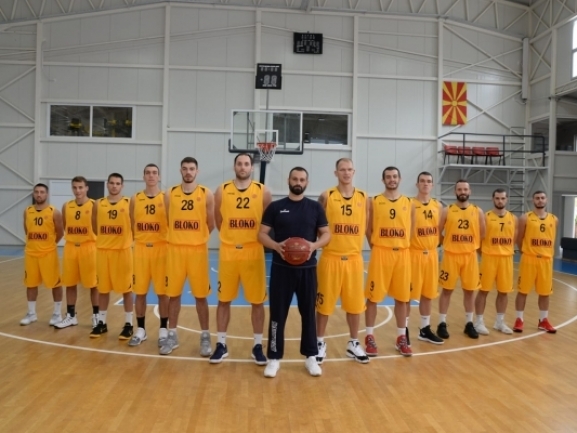 KK Blokotehna recorded another win in Macedonian league after beating Pelister 81-66 away. The visitors did well throughout the game and were building their advantage steadily. Blokotehna won all four quarters and the decisive one was the third when the lead jumped from 5 to 13 points which was enough until the end. Danilo Mijatovic was the top scorer for the win with 22 points as Petar Nikolikj added 15. Povilas Gaidys also did well by having 14 points and 8 rebounds. In the same round Kozuv hosted the champions Rabotnicki but lost 73-84. The visitors did very good in the second quarter which they won by 12 points taking their advantage to 16 at the break. In the second half they controlled the difference and cruised on for the win. Igor Kesar had his best game since joining Kozuv finishing with 20 points and 5 rebounds. Nikola Karakolev had 19 points as Devaughntah Williams added 17 and 6 rebounds. After 13 rounds Blokotehna is tied for second with 11 wins and 2 defeats while Kozuv is 7th with 6-7 record.